US$3.50 each. Freight is about US$45 to Aus. These are woven carbon fibre tubes, which are lighter than pulltruded tubes and less prone to splitting. Great for big kite spars also. Buy a 500g bag, they need frequent replacing. UPDATE: October 2015 - Looks like this coloured packing tape is no longer available at Officeworks. Need to buy Hobby King covering tape or Ebay from now on. This is my favourite reinforcing tape but it's more expensive. Strong holding, flexible and lighter than cloth tape. Used to join wings, hold landing gear on and to reinforce control horns and hinges. Use cheaper Bear cloth tape where weight and strength are not as crucial. Beware - Paper-covered foam boards in Australia, like Quill from Officeworks, are much heavier and way more expensive than Dollar Tree foam board used by Experimental Airlines and Flite Test. Dollar Tree foam board is not sold in Aus so I use depron with tape or laminate covering. Depron is waterproof and lighter and much more durable than paper covered foam board. 7x4.5" prop 18A max 215W 30A ESC. The motors above use 3.17mm prop adapters which are not sold by Hobby King! One is supplied with the motor but you will need replacements. Motor mount bent from flat bar or cut from L profile stock. P.S. been out chucking the old Chrysalis around - Smooth Flyer! I bought mine on ebay, something like this with buzzer and display. Andrew, thanks for all the info. Regarding control horns, any techniques to bend them so that they stay square? I tried to bend a credit card and it does not like to stay at 90º angle. Do you heath them before bending? The foam and glue holds them at 90 degrees. They pass through 6mm of depron and stick straight up. Bean meaning to pass this info on for a while! Just around the corner from where i work so very handy for me! Hi Bob. Thought I'd replied to this earlier but thanks so much for this info. I'have to try some myself. Hi Andrew. You are very generous and giving to put so much time and effort into what has become such a wealth of help for what I have been chasing. Although I can fly 4 channel plane ok, my knowledge is very novice like and have stuck to RTF models. But lately with my job in the warehouse part of a Victorian Good Guys store I keep looking at our EPS waste from whitegoods packaging thinking a wing/fuselage etc could be made out of some pieces. After youtubing and wondering if I could make a hot wire cutter etc, I am hoping I can make the time to see if I can build a plane/glider...Your info, videos and especially links to find the equipment is invaluable. Thanks again. Darren. Greetings Darren, Sounds like you have an endless supply of materials available. The EPS would be fine for wings and fuselages and is easy to cut. It would need packing tape covering and some sort of spar depending on wingspan and thickness. I would encourage you to have a go. Happy to help if you have any questions. Thanks for reply and encouragement Andrew.Clicked the link to packing tape from Kmart and my wife has bought it already.....Bargain! ( thats why the links are so great and relevant). Hope to have some pics of progress to show later on.look forward to watch I ng more of your clips. 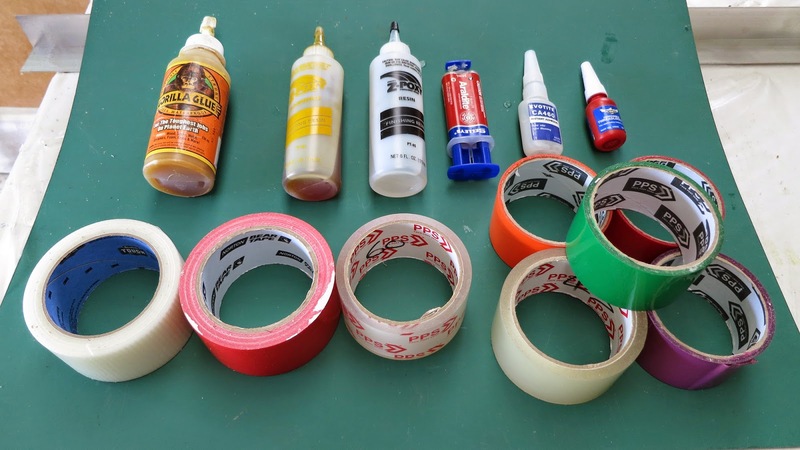 Hi Andrew, In your Fokker build video, you mentioned a new type of tape. You said it works great for hinges. Can you reply with the name of that tape? Thanks, really enjoying your you tube posts! Thanks Scott. It's Blenderm hinge tape from HobbyKing. Also used for surgical dressings. Hi Andrew. I am very new to this RC plane building. I am an engineer and run a consultancy company designing car bits etc so well aware of stresses etc. Thank you so much for all your tips. I have made a hot wire cutter, bought the Bunnings sheet and made 4 planes with it. A tip that I have found, if I hot glue 4mm or 6mm dowel to a flat board I can cut 4mm and 6mm thick foam sheet. I then lightly sand it and then give it a light spray with contact adhesive. Once dry, any wing tape or clear tape sticks very very well. As a result, the 4mm sheet with spray/tape is very strong. I have used it for the vertical stabilisers of my 800mm wing span planes and it is really good. Great tips Morris, many thanks. Great channel Andrew! Love the videos on youtube and its great to see a lot of the same building materials you use are what i use. XPS from bunnings is great stuff! And covering it with hobby king wing tape is great as you just gently heat it to s perfect smooth finish! Thanks Phil, great minds think alike! Hello Andrew. I really enjoy all your videos on Youtube. I post videos myself too. My planes are all made of XPS foam. I have one issue I can not overcome though. I tried packing tape and document laminating film to cover my wings however I am not satisfied with the results. My goal is to make a strong wing. - Packing tape is okay but it gets unglued very fast. Fixing what has been taped before is a nightmare. - Document laminating film (iron on) is great however the glue it uses is not strong and gets unglued very quickly. 3M77 glue is not available in Bulgaria, Europe where I live. Please share your experience as I need a way to cover my wings to make them strong. Andrew, Love my P2000 but I cracked the fuse. Epoxy didn't stick. Any suggestions.? Thanks so much for all your info and reviews. Hi George, I don't know of a glue for PE plastic. Might have to splint it with a patch and screws or tape over the crack.